Cyclonauts Wednesday hike to Mt. Monadnock in New Hampshire via the Pumpelly Trail. 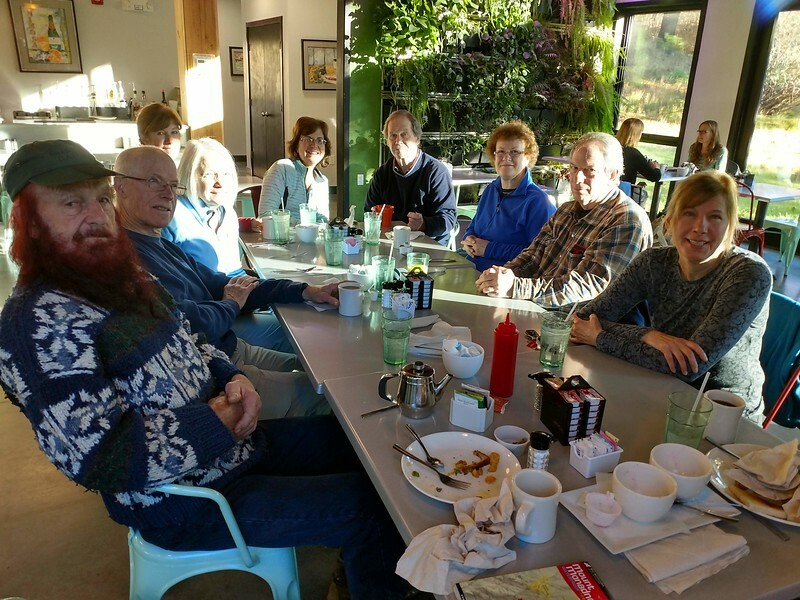 Thirteen hikers, and breakfast at Audrey's in Dublin. The pictures include a few shots of the Cyclonauts with some AMC members. We went up on a beautiful day and had lunch on top. Don Maynard was resting on top impressing the girls and even getting a hug from a young foreign female impressed by his olds mobile 88' can do it attitude .Pics by MaryAnn Siron and Tom Copp.